Virtual Data Rooms (or VDRs) are secure, cloud-based storage systems for confidential information. They are becoming more and more popular for M&A partly because they greatly improve the flow of information between stakeholders. While there are plenty of VDRs on the market, very few are actually designed with the complexities of M&A in mind. Moving into 2019 especially, the deal space is very active, and deals are predicted to become larger and more multiplex. This means M&A practitioners need more than a place to simply store information; they also need ways to reduce wasted time, workload, and the potential for human error as they navigate the waters of due diligence. 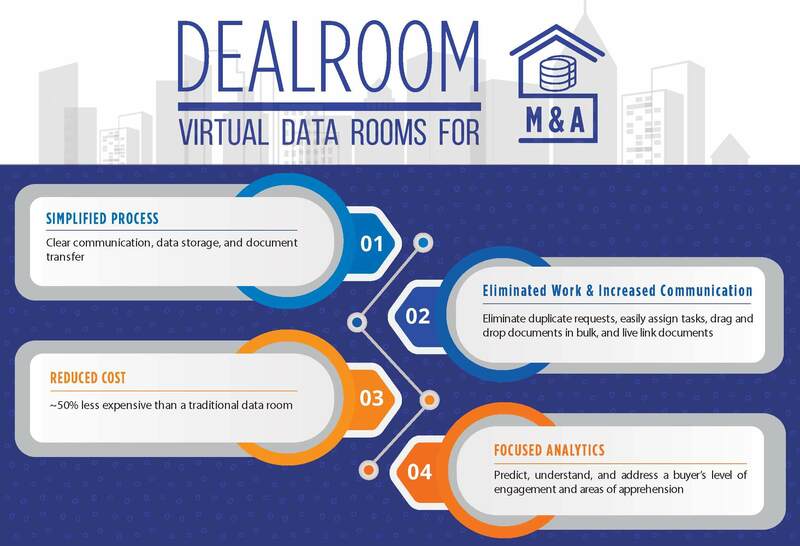 Ultimately, DealRoom is the platform of the future of M&As because it is designed to make complex deals simple with its Agile approach. Consequently, it is has been utilized for billion dollar transactions and is suitable for deals >50M where there is a greater need for diligence and integration process management. DealRoom’s sophistication lies within its centralized location that simplifies many of the roadblocks of due diligence. For instance, it allows for clear communication, data storage, and document transfer - in simpler terms, an end to the time-consuming and outdated back-and-forth email game. Perhaps most importantly, DealRoom helps deals come to completion 40% faster! More than just a data room, the technology behind DealRoom streamlines communication. Imagine the elimination of duplicate requests, the ability to clearly, and easily, assign tasks, drag and drop documents in bulk, and live link documents; all of which can save users up to an hour a day. More specifically, stakeholders no longer need to rely on unmanageable spreadsheets that are not conducive to collaboration and transformation. While well-meaning, spreadsheets often lose value and become unwieldy as the process of due diligence picks up steam; therefore, DealRoom’s platform is ideal for workers who want to stay organized and work methodically. Additional features such as full text search, auto indexing, and the power to produce PDFs and Excel reports with the click of a button continue the trend of minimizing and reducing workload. We’ve all heard the old adage “time is money” and without a doubt eliminated work and reduced distraction allow for businesses to concentrate on maximizing growth by reducing wasted time and money. However, DealRoom’s platform efficiency is not the only way the program helps companies lower costs: DealRoom also moves users away from antiquated per page pricing models. 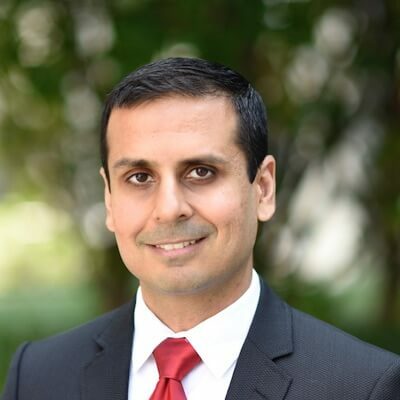 Per page pricing methods are not only expensive, but also can be harmful to the development of deals since stakeholders are often focused on the expense of scanning and uploading the data rather than focusing on the data itself. On the other hand, the flat rate pricing model reflected in DealRoom’s platform means expenses can be effortlessly planned for so stakeholders can focus on the actual data and avoid the financial burden of additional “surprise” costs; with DealRoom, there are no hidden fees or penalties for extensions. Lastly, DealRoom is approximately 50% less expensive than a traditional data room, all while offering unlimited data and users, advanced analytics, and 24/7 personalized support. With monthly and annual billing plans, companies can effectively plan and budget M&A expenses. Project management becomes simplified thanks to heightened oversight. This “bird’s eye view” enables all involved to take on more proactive roles and identify potential holes in the project before they become major issues. One of DealRoom’s most impressive features is the ability to track what others are regularly viewing and spending their time on analyzing. The data produced from this tracking is invaluable - now the buyer’s level of engagement and areas of apprehension can be predicted, understood, and proactively addressed.